Description: Beautiful brick home with 4616 sq. 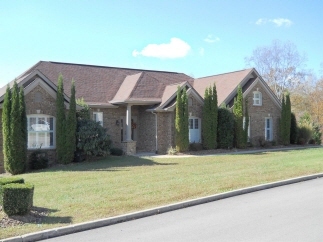 Ft. Of living area located on a low traffic, cul-de-sac street in whitetail run subdivision. Located in desireable oak hill elementary school, southern middle school and southwestern high school district. Nearby walk to firebrook community park. Breathtaking entrance with gorgeous details. Home includes great room, formal dining room and also has a large rec room in the full, finished walk-out basement. Home also offers walk-in closets, whirlpool garden tub, wet bar, security system, separate utility room, beautiful stone fireplace, huge master suite and a large bonus room over the garage. Located on a large lot with lots of privacy, backs up to a beautiful creek. Data believed correct but not guaranteed. Buyer to verify data prior to offer. Agents read agent remarks.